Never put all your eggs in one basket when it comes to digital marketing. Today, Matt Johnson joins Renia Carsillo for this week’s SMS Grow Live! They are back to discuss campaign sprints, what they are and how they can streamline your marketing efforts. They also debate the color of Matt’s shirt. Is it magenta or is it purple? You decide. The time to plan for 2018 is now. Do you have a clear roadmap of your company’s vision and how you will plan and execute that strategy? Let our team of marketing nerds and ninjas guide you on your way. Are you ready to grow? Oh, all right. Yay. Okay, so, guys, I'm Renia with Safety Marketing Services, and I'm back again with Matt. He was not with us last week, so we're glad to have him with us today. Yeah, with his very fancy shirt. I like his shirt. Actually, I originally got this shirt 'cause it's the exact perfect match for our SMS magenta color. It is. See, I was gonna say purple and then designers are gonna tell me that is not the color. Well, I could say purple, but that's not fancy enough. So, you guys may or may not see right now if you're watching this on October 11th of 2017 that some that very rarely happens, is very rarely -- Facebook is down at the moment for desktop, which means we are coming to you through YouTube Live instead of Facebook. I just want to point out we've talked a lot about redundancies over the last few weeks, having a backup plan, and the fact that we put the show out for YouTube and podcast and we're recording it allows us to have a backup plan, so we're about 15 minutes late, but we're still here, right? Yep. Really goes to show you not to put all your eggs in one basket when it comes to digital marketing. That's a big mistake a lot of people make. They either put everything they do on their own website or on Facebook or one of the other social channels, and a good reminder for us all out there that Facebook is not invincible, that it can shut down from time to time. That's why we need to be able to adapt and move to a different channel if we need to. Yeah, seriously. So, we're really excited to be with you today. We talked a little bit last week about how we're going into fourth quarter, and that means stuff's getting real right now, right? So, if you want to consume us in a different way, I know my favorite way to watch the show is ... well, not watch -- listen -- is to listen to it back on the podcast. So, iTunes got an update last week, so it's even better than before. You can subscribe on iTunes; you can go to growwithsms.com and up at the top right go to the resources and it'll give you every version. You can read every week on the blog the transcript. You can subscribe to the podcast in the iTunes store, or what's the Android equivalent to iTunes? Is it Google Play? Okay, see, I'm totally Android illiterate. See how I instantly looked to my savvy digital people here? Yeah. I think that we're even on Spotify now, so you can get us in the Spotify stream, or you can watch us here on YouTube. We're not usually live, so if it's a little lower quality than you're normally used to seeing on YouTube, don't worry we'll have the pretty version by Friday. Yeah. So, how were your travels, Matt? Weren't you at a conference this week, right? Yeah, yeah. Really great. Really great. I had a good few days over in Orlando, which is just a short jot for us down the road, and I was attending the NetPlus Alliance meeting there, so shout out to all of the NetPlus Alliance folks that just do a fantastic job putting on really one of the ... a world class meeting and conference for their members -- their distributor members as well as the suppliers like us. We're a service supplier there with NetPlus Alliance, and I got to tell you my big takeaway was ... Well, not only does the digital team -- Zach and his assistant Sky, as well as the rest of the team -- they just put a great meeting together in terms of being organized, everything working really well. But I got to tell you, the thing I'm most excited about is leadership. Jennifer Murphy is just an incredible leader, somebody who I really feel great about getting behind in terms of her vision for the future of that group -- helping these independent distributors compete with the big-box brands of the world. She literally put up a graph during one of her keynote speeches, and it showed just how competitive the distributors in NetPlus Alliance were compared to Grainger and Fastenal. If you looked at growth over the last few years, they are outpacing Grainger and Fastenal as a collective group. That was really exciting to see. It means that the independent distributor is in good hands right now, is really in good shape. They're being competitive and working together in those cooperative groups like that is really a great, great tactic for them, and we're excited to be a part of that group and help serve those members. Very cool. I love that cooperation and working together to kind of compete with some of the big guys, so that's a cool thing to see. So, we're here today continuing on our theme of fourth quarter and preparing for the new year. We told you a little bit last week about how SMS is participating in this Oktoberfest, where our whole team is coming together to transition the team to a little bit of a new style of managing projects and learn some cool tricks and stuff like that. Drink some beer. We've been having a lot of fun with that, but we want to talk to you today about managing a digital process for your team, particularly in thinking about your processes around campaign sprints like we do and like we recommend most people who are doing digital marketing do. 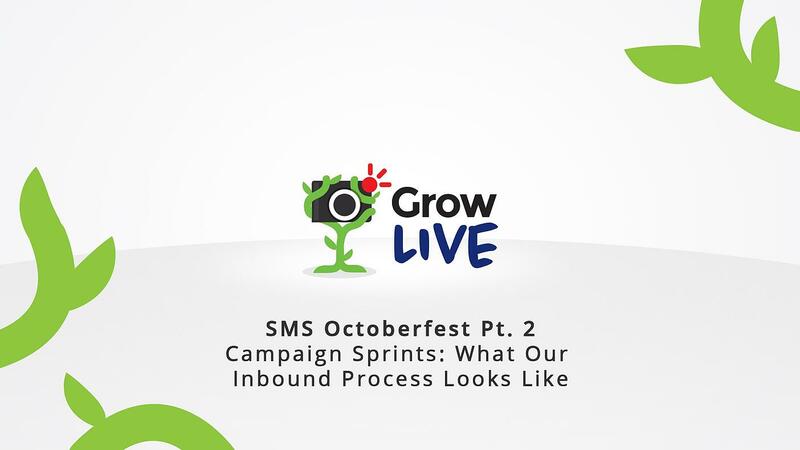 So, can you first tell us before we dive into campaign sprints, what made you start to think about these processes and why SMS might need some of them to begin with? Yeah, so, I think it just was a ... I don't know if it was a light bulb moment for me as much as it was a kind of a fat realization that we were taking on a lot of work quickly. We were growing a lot, especially early in this year, 2017. The latter half of 2016 and going into 2017 we took on a lot of new clients as well as some very big ongoing digital marketing retainers, which if you're familiar with that concept it's basically a large list of deliverables that we plan out every quarter and in every quarter there's a plan, but there's also monthly deliverables, weekly deliverables, and even daily deliverables in terms of all of the content and scheduling the content -- social media and what not. There's a lot that goes into a lot of the work that we were doing, and I realized quickly that we were not acting like we were producing products. We were acting like we were kind of just cooking up something in the back of the kitchen, and every time we made it it was a completely custom operation. And I realized ... I don't think it's my background in manufacturing had me quickly realize that we need to put some processes into place and treat our deliverables, our digital deliverables -- things like blog articles and emails and social media calendar posts -- we need to treat those more like products, and, if you know, if you have any familiarity with the manufacturing process, there has to be a streamlined path from the time that a product gets ordered to the time that it ships out the back door. So, I realized that we don't have that. We don't have anything documented. It really was different, each campaign that we created was different and it really depended on who was the chef. We had a few marketing managers, and whoever the marketing manager was their campaign was created custom to what they knew how to do best. I felt like for the sake of consistency and for the sake of producing more reliable results in our marketing for our clients, we really needed to streamline the process and document it. So, beginning this year, that was one of our strategic goals for 2017 was we literally said ... it was a SMART goal. We said, "We were going to have every process documented in our agency by the end of ... or by December 31st, 2017," so by the end of the year, every single operational process would be documented and communicated to the whole team. We're in the middle of it. We've made unbelievable progress. We've done the hardest parts first, and we have something loose ends that we're finishing up in this last quarter, but I'm convinced that we're gonna hit that goal and it's gonna set us up for so much success in 2018. I'm really looking forward to using it. Very cool. I think a lot of us feel like sometimes that we implement -- maybe we run a campaign or we try something and maybe it works really well, and we're not really sure what worked really well about it or how to do it again, or maybe it didn't work out and we're not really sure why. I think a lot of that comes back to not really having that replicable system, right? Yeah. Absolutely. It's this idea that ... I mean, I often tell it to the team like this, it's like -- If you are a good home chef, for example, and you go and you create something kind of off the top of your mind. You put together some ingredients in the kitchen, and you feed it to your family or your friends and they go, "Oh my god. That is incredible," but you never wrote down the recipe, so you have really no way of repeating that. It's extremely important not just to be talented at what you do, but to have the discipline required to document that process so that you can repeat it over and over again. There's something beautiful in repetition, and it's not just about being more profitable, although that's important to us, but it's something that we can repeat; it's a proven process. It's something that we can go to our clients and even future clients and say, "We've done this before, and we know it works, and we can do it for you." So, when you're creating something like that, how do you think about it in terms of making something that's repeatable, but also something that's flexible enough to keep up with things that are changing? Yeah. That's kind of where we get into this idea of doing quarterly sprints, and that's why we decided that for us, the way that we were going to structure our campaigns was to build them out and do quarterly sprints, meaning we put together a game plan. We look at what's most important, so we do a bit of exploration -- that's like the first phase in our process -- and then once we explore we understand what is most important for this quarter coming up in terms of optimizing the website and content creation. Then we present the solution, and then once the solution is agreed upon by the management and by our team, then we go into the execution of those deliverables. And then, this is a very important aspect of it that I think a lot of people may overlook, but after you execute the campaign, it's important to come back and analyze the results. That's where we would sit down and we would look and then we'd find out, "Okay, well maybe this social campaign didn't produce like we thought it would," or maybe we didn't generate the leads that we thought we would from LinkedIn. "How can we adjust from there?" And maybe our content is really great, it's getting a lot of traffic, so we know that there's an interest for it, but maybe the conversion isn't quite what we want it to be. So, we take a look at what we've done, and then we look at the numbers, and then we can pivot from there. I like it because it's long enough -- like three months is long enough to see some real results. It's long enough to see how our buyers are reacting to our content, and yet it's short enough that we can make a complete pivot if we need to, or we can adjust the strategy going forward. Yeah, so that's a great point because we are going into fourth quarter where a lot of people are sitting down and doing strategic planning for the year, and I think we both are probably on the same page that that's really important, but if we just sit down and we do one big plan for the year ... I don't know, in this world a lot of stuff changes over the course of 12 months, doesn't it? It's really crazy. Actually, I'm a big believer that you have to have a ten year vision; that vision is gonna be very loosely held. I mean, there's just no telling what's gonna happen in ten years, but then you have more of a three year plan that is more concrete, and even then, working back from there, you have a one year plan that has very set goals and we take those goals very seriously. It's very unlikely that those goals would change, although they can throughout the year, but even from there we like to break out our strategic plan into quarterly sprints, and this is kind of separate from the marketing campaigns that we do, but we do break out those big goals, those big annual goals, into quarterly rocks, or smaller goals, that will help us reach those big goals. I think by doing that, it focuses us on the things that we can influence right now instead of getting caught up by or overwhelmed by the feeling of, "Oh my gosh, we have this giant BHAG," or "big, hairy, audacious goal" as I like to call them. We have this giant BHAG out there that's sitting there and it's just insurmountable. How can we tackle it? Well, you tackle it by breaking it up into four chunks, and then if you can achieve each one of those chunks as you go, you know you're making progress. Yeah, that came from another agency that I met at Inbound, so, yeah, full disclosure, I stole that, but he said we could. So, it's a cool idea of taking a time that is short enough, and that's why we like running campaigns around that. You could also think of it in seasons -- this is the way ... It's not a new idea, it's the way clothing companies and food companies and stuff like that run their campaigns because of seasonal changes, and it works for your big company's strategic goals. It works for the strategic marketing goals, and it works at your individual campaigns. Even if you take that big 90 days, we have to break that down even further, right? How do we break it down even from there? Yeah. It's a good point. You start with a 90 day plan, and I think that that's something that everybody can get behind; they can understand that. Our 90 day plan would also include monthly calendars, monthly content calendars as well, so ... From the 90 day plan, the overall vision, the SMART goals -- those would be quarterly-based, but then even from there we'd break it down into monthly content calendars, so for the month of October ... What month are we in? It's kind of going fast. Yeah. It's going very fast. So, the month of October, we would have a set number of blog articles, a set number of emails that we might send out for that month, we know that maybe there's a holiday in there as well, so maybe we'll run a promotional around the holiday. Also, even from there, we break it down further into daily tasks, so, especially with social media, there are daily tasks that you have to create for ... and of course the trick is to be efficient you cannot do things as they are scheduled on the content calendar, right? So, maybe you could talk a little bit about how your production team batches their work, so that they can have, for example, an entire month's worth of work done so that they can schedule it and not have to worry about creating something and posting it that day. Yeah, so, we are working in our 90 day epics, and then we work in one month content chunks, and we're not perfect. We're still working on this as everybody is. But our goal is always to produce all of the content that needs to get approval for a month at a time, so when a client has ... If you give a client 90 days’ worth of content to approve all at once, they're gonna have a really hard time getting through all of that, and it's the same for you. If you're going to your boss and you're giving your boss pages and pages and pages of stuff, and here's a whole catalog, and here's all these blogs, and here's the flyer, and here's the booth concept all at the same time, they're gonna get lost in it, right? And you're gonna have a hard time getting it back. But at the same time, if you're trying to go every day, or even once a week to get approvals, it's hard to pin them down and then you get behind. We found about a month's worth of content to be a good middle ground, where they'll have three or four blogs and 20, or so social media posts, and possibly a little something else here or there depending on the client -- maybe a flyer -- to approve, and then they'll be able to see what that whole month is gonna look like holistically. It's Halloween in a couple of weeks, so we have all kinds of fun stuff going on for posts and blogs and stuff around Halloween. November, we have Thanksgiving and there's all kinds of cool stuff coming out around Thanksgiving. So, we take that and we package it all up in production so that our content writer can write three or four posts at once because it's more efficient of them to spend their time in writing all of that at once than to jump between different topics or different clients. Then we give our social media manager that whole piece so they can do all 20, 25 social media posts at once, so then we package it all up and we send it to the client for approval. I think you could do this inside of your organization as well, where you once a month you present your content to be approved as a piece of that campaign. Now, it doesn't mean that things don't change over the course of the month sometimes. We've had a lot of hurricanes, for instance, this year, so if you have like a fun, silly post about to go out on a day after a hurricane or a mass shooting or a whatever crazy thing has happened, we do have to go in and monitor that kind of stuff and make sure we pull it down and we post something that's appropriate. But we've laid out the plan. We've done the formatting in advance, so then it kind of rolls on autopilot while we're producing the next month's content. I think if I'm ... So, if I'm the marketing director or I'm the VP of sales and marketing and you're my marketing manager, and you're preparing the social media calendar and the blog articles ... I think I would greatly prefer you to send me the month worth of social media posts upfront so I can see it. I can also see how they all work together ... because every time I have to look at your email, look at something you created and then approve it, or send feedback on it, that is time that piles up. Those are the unseen minutes in my day that just I'm like, "How did this day fly by?" It's because I had to open up an email from my marketing manager every single day to approve the social media posts, and then of course the marketing manager's like, "Matt never sees my ... He never answers my social media approval email that I sent," and it's no wonder because I think that can become very overwhelming for a marketing director who's stretched thin as it is already. I think batching social media posts and your blog content is really important in terms of internal collaboration. Yeah, it's so important. I sort of think when you say that, and you tell me what you think of this ... So, I'm just pulling stuff out in the middle of the show today. Yeah. We have learned a lesson over the last I'd say four or five months about setting up that expectation about how approvals are going to work and how much time people have to give feedback and stuff like that way in advance, even in advance of the contract being signed. So, now, it's actually written into all of our contracts, that you have X amount of days for small approvals, and X amount of days for large approvals, and three rounds of revisions, and things like that so that we are communicating expectations upfront and it makes it easier for us to work together. I really think that would valuable for a marketing manager to do with their boss, is like agree on what the expectations are gonna be upfront. It's a little nerdy, but I totally agree. I wish I would have thought about that a long time ago when I was doing your role as a marketing manager, but you're absolutely right. It doesn't have to be super ... For God's sakes, don't ask him to sign a document, but you could just write an email out and say, "Hey, boss, we have a lot of content to work together on. We got a lot of things we got to do. I'd like for us to just come to a consensus on this methodology for approving posts and content." I think your marketing director would really respect that, and I think that's a great idea. Yeah. So, helping people get boundaries is a great thing for any of us as we're trying to grow in our careers, I think, 'cause it's hard for all of us to create our own boundaries, and that makes people feel like they win, right? 'Cause your boss doesn't want to feel like they're letting you down, and you don't want to feel like you're nagging them. So, if you've already set that up, then it's like, "Oh, I don't have to jump on Mindy's email because I know I have three days, and as long as I'm back to her within those three days we're good." Right? Yeah, no doubt. In fact, I just thought we have that document. It's probably pretty simple for us to link to it in our show notes or in our blog when it comes out. Yeah, we can definitely do that. We have it as a separate document. Yeah, we'll do that. We'll get you that document, and you can maybe take it and use it for your own use with your team. Yeah. One of the things that we're doing right now with all of our clients that have been with us for a while is we're setting up annual reviews and 2018 marketing planning because we want to be ... If we wait until January to start thinking about that, we are a little bit late. We're a little bit behind the eight-ball, right? So, it's October, hopefully going into November-ish we should be getting those plans solidified. What are kind of some first steps that Mindy could take to start to figure out how to get people corralled together to get their plan in place? Yeah, so I'm very much in the middle of this right now. In fact, if you're a client and you're listening, you probably would be seeing an email coming from me asking us to get together soon to talk about 2018. But if you're internal, if you're working with an internal team and you're doing this yourself, I think it's a great idea. Let's just be honest, sometimes your marketing director, your VP of sales, is not the most proactive in regard to planning. A lot of times, they're very great relationally -- they're great at getting things done -- but they may not be the best that will actually sit down and provide a scheduled date and time to work on a plan with you. So, this is where I would say take some initiative here and reach out to your marketing director, even if it's your president, the owner of the company, and say, "Hey, I'm really excited about where we're going this year. If I'm the marketing director, I'm probably participating in the company's overall strategic plan for 2018 in this case, and what I'm gonna do is I'm gonna leave that meeting with my marching orders, whether that's revenue goals or brand awareness goals, and I'm gonna come to the marketing strategic planning meeting with that in mind and that meeting that we're gonna have is all about, "How do we execute on what the company's goals are from our position?" I think it just starts there -- blocking out a day on the calendar and working through, "How are we going to reach these goals?" So, you have the company's big annual goal, right? And then we're gonna break it down into quarterly rocks, and then we'll talk about what the first quarter rock is for starting the first of the year. Yeah, and that is perfect, I think. I don't know about you guys, but I am so excited to have that every year. That's like my favorite thing is knowing exactly what the roadmap is to get started. Matt, I think, just gave a really good point -- you come up with your annual goal based on what the company's goal is; you break it down into four sprints, and then you take that first sprint down. You don't have to worry about the rest of the year yet, you can come back and check in on that quarterly, right? But if you break down that first sprint, you know exactly what to do starting January 2nd -- we're not gonna work on New Year's Day, right? Staring January 2nd to hit the ground running, so that's really cool. Yeah, and then once you get started what I would recommend as well is two months into your first campaign, so we're talking about the end of February, you're gonna get together again with your marketing team, and you're gonna sit down together for a day, or a half a day -- maybe it's a half a day -- and you're gonna plan out your quarterly sprint for the next quarter. The reason you have to do it two months in is because you're gonna need that month of production time, 'cause remember you're always trying to work a month ahead. If you're doing it the efficient way, you're gonna work a month ahead. I know a lot of people don't do that, but that's why I say don't wait until the end of the quarter to have your next quarterly strategy meeting. Do that quarterly strategy meeting about a month out. Yeah, so the way it works at SMS is we have a 30-day check-in. We have a check-in with our clients every week, and then we have a 30-day check-in on the campaign. "How's that particular new campaign going?" And that 30-day check-in is a signal to the marketing manager to schedule the keyword research for the next campaign. That gives our digital strategist about two weeks to do that keyword research, and at that 30-day check-in the marketing manager also schedules the strategy session for the next content. So, you'll start six weeks into the first one, planning the strategy, so you'll have about a week to get the strategy together, pitch it to the client, and then start production all over again. So, it really is like if you think about your campaigns like laying on top of each other, about halfway through one sprint you start planning for the next one, and that allows you to be kind of going up and down with planning, executing, planning, executing, planning, executing over and over and over again, 'cause it really is kind of like a cycle, right? Mm-hmm (affirmative). It's a cycle of life -- marketing life. Yeah. So, if you're just getting started in this and you need some inspiration, what are some of the books, or podcasts, or sources that you go to help you figure out some of this stuff? The first place that I would go to is probably Grow Live podcast. Growwithsms.com. No, there's lots out there. Gosh, I mean, I think we might include some in the show notes, but the Agile Method is something that we've been working on as a team lately. I feel like that's been ... I mean, we're just a month in. Our Oktoberfest was really built around this idea of transitioning to an agile project management style, and we're a month in and I just ... We're not even a month in, we're weeks in, but it's just amazing. It's amazing how much you can get done, and I feel like there's just hours and weeks and years of wasted time that I've experienced, and I just wish I could go back in time and start using that agile methodology. I certainly recommend you guys check out what the agile methodology is all about. So, the book to start with is ... If you don't mind if I jump in. Please, I don't remember the names of books. I'm horrible at that. Yeah. The book to start with is called "Scrum". I hate the word, but it's based on rugby. So, the book to start with is called "Scrum". It's a really easy, fun read because it's kind of ghostwritten ... It's the guy who founded it kind of ghostwritten by his son, who's an NPR journalist, so it's really engaging to read, and I would definitely start there with agile. And kind of just backing up a step, previous to that question is when we were talking about the strategic planning ... I just got finished reading a book. I've read it twice now, 'cause I was just so captivated by the practicality of this book, and this book ... it's probably not a marketing manager book, but if you can give this to your boss as a present, you could be changing the course of the company. The book is called "Traction". It's something that I'm kind of putting into practice here at SMS, and it's got everything from your vision, to your strategic planning, to your accountability and your org chart, to just how you operate your business. If you're kind of frustrated because your company doesn't have a very clear vision, doesn't have a very clear roadmap for the future and how it's going to grow and achieve its goals, this book would be a huge eye-opener. I highly recommend it. Yeah, it's an awesome one. Doesn't it have a partner that's called like "Fire Starter" or something like that? Yeah. I haven't gotten that one yet, but it's a fantastic read. It's so practical -- it's got checklists in it and you can grade yourself. It's a really fantastic book to give to a president or a CEO. Yeah, and what I really like is ... I'm a bit of a productivity nerd, so I literally run my whole life around this system, but there's a real short book called "The 12 Week Year", which is I think how the ... I actually think that book is one of the ways that kind of the concept of these twelve week sprints came to SMS, and I run my whole life around this concept and it will really walk you in an actionable way through the process of breaking those goals down into sprints, and then breaking them down by the week, and it also has this really cool concept of a scorecard, where you are checking in on yourself and how you are getting things done. So, even if your boss, whether it's a VP of marketing, or of sales, or a president, or whatever ... even if your boss isn't doing that, it's still a really efficient way for you to run your own piece of the pie. I highly recommend that one to the marketing managers as something that you can take and start implementing tomorrow. That's right. You can run your life by it, too. I mean, you can do personal goals in that same manner. It's also important to celebrate these campaigns. I would just say that as that really builds a great culture, so it's one thing to ... You're on a certain level, I think, in terms of businesses if you cannot just put together this plan, but execute it, and then celebrate it. The celebration is actually, I think, just as important as the execution because it's what brings us together as a team. So, whether it's an internal marketing team or us here working for our clients, celebrating those quarterly sprints and making sure that we acknowledge the good work that we've done. It's important to us all staying positive and keeping going. This can be arduous -- doing digital marketing -- like you just said, it's something that's repetitive. It's quarter after quarter, it's month after month, it's week after week. I think stopping and acknowledging that we hit those rocks is important for the culture of the company. Yeah. I really like that. I am not good at the celebration piece. I'm always onto the next thing, right? So, I love that you said that. That's really good. On that note, what about some of the pain? We're making it sound really cool, but it's not all easy, right? Oh, my gosh. Yeah, I'm glad you mentioned that because, I mean, one of our values is transparency. I'll tell you guys, it is painful. It really is. I liken it to ... I know it's hard to believe, but I've started many workout programs over the years, and it's like starting a workout program. It really is. If you know what that's like, you know that when you get into the gym for the first couple of weeks there are muscles that have not activated for a long time, and those muscles will let you know that they're not enjoying what you're putting them through. In a similar way, that's kind of how it's been for us is that we've activated certain areas of our business that we haven't been using as like we should, and it's been painful, but then at the same time we're at this point now ... We're in the middle of this, where people are starting to turn on. They're starting to realize, "Wow. This actually is better. This is better for us. This is actually a more enjoyable way to work," and they're more engaged, I feel like, even just after a few weeks. I'm excited to see where we're gonna be at a month from now, but there's no doubt that starting this is a commitment and it's one that you're gonna make because the goals mean something to you. I guess I would just say, if you're to setting goals, you've got to start setting goals and then having a reliable, consistent system for executing those goals, and then building in a culture of appreciation so that you can motivate yourself to hit the next one. That's what we're trying to do here, and I think honestly that works for whatever business that you're in, whether you're a manufacturer, wholesaler, or distributor. Yeah, I really like that because sometimes I feel like we maybe shy away from goals because they seem scary 'cause we don't know how to get there, right? But when you take the time to break them down small enough, that's why I like the sprints so much. It seems so huge to look at an annual goal, whether it's a sales growth or whatever it is. It seems so huge, and we have no idea how we're gonna get there, so we stall and stall and stall, right? I'm sure one of you out there right now -- it is the second week of October, which means someone has come to you and been like, "We got to hit this before the end of the year," and you're thinking, "We should have started hitting this five months ago," right? That's what happens, is if the goal is too big and we haven't broken it down into how we're gonna do it, we'll just delay it and delay it and then it's pain. That's why most companies achieve more in the final hundred days of the years than they do all the rest of the year combined. We want this not to happen anymore, right? That's right. You want to take some of the stress and pain out. We just did a stress management class today for the team, and I think a big part of the stress is not having a very clear understanding of where the company is going, what the goals are, and how we're gonna reach those goals. It's one thing, I think, of your leadership to say, "Well, we're gonna grow by 20%, 10% this year, and good luck." That's insufficient. I think as a leader you have to be able to say, "Here's our goal, and here's exactly how we're going to accomplish it in the year, in the quarter, in the month, and in every single day so that your team can buy into your vision," and that's actually what that "Traction" book is all about is getting traction with your team. So, I highly recommend that you guys put together a great plan for 2018. We're looking forward to helping our clients on the marketing end as well, so we're gonna bring this concept to them and help them put together a plan for the coming year that will produce results and move the needle, get them to where they want to be. Yeah. It's an exciting time. This is my favorite time of year, so the planning piece ... this is really, really fun. I think you will find it fun, too, probably, when you get in 'cause at this time of year everything is possible, right? Anything is possible right now. That's right. We have every reason to be optimistic, and speaking of which, if you're looking for some training resources and maybe you're exploring digital marketing as a serious goal for the first time in your business, we have some great resources for you that I'd like to let you know about. If you go to industrialmarketing101.com, you will go directly to a resource page where you can enter in your email address and your name, and you will get access to a six video class that we put together. It walks you through the entire Inbound or digital marketing methodology, which we'll teach you how to attract the right kind of traffic to your website, how to convert those visitors into qualified leads, how to nurture those leads and close those opportunities, and, of course, how to delight your existing customers. We would be thrilled if you go there and check out that resource. Of course, our blog has a lot of great content including show notes from this show as well as other posts from the rest of our team. So, go check that out and let us know what you think. 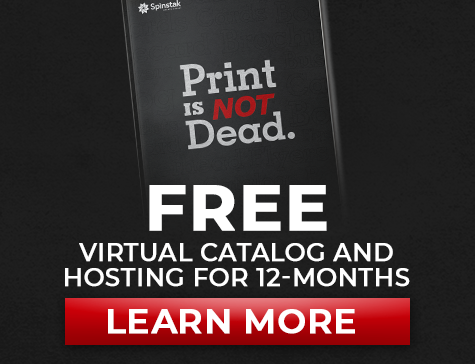 You can either email us at info@growwithsms.com or comment on the blog posts themselves -- that'd be fantastic. Yeah, and hopefully by the time we're done today Facebook will be back up again, right? We'd love for you guys ... If you're listening on a different channel or maybe you're checking this out via the blog or through email, love for you guys to go follow our pages on Facebookand Twitter. I'm active myself on LinkedIn-- feel free to connect with me. I know you'll enjoy some of our content. It's written for you guys. We do it because we care about you. We want you to have the very best practices in terms of go-to-market strategy in the industrial space. I think you'll enjoy some of the content. Yeah, absolutely. So, you can find Matt and Bradyon LinkedIn. You can find me there, too, but ... and connect with them. They're always putting out good stuff. Next week, I'm really excited to bring Lief back on the show. You guys might remember him from episode six. He's gonna come and check in with us again about what we've learned over the last several weeks. You noticed we've done some different things over the last several weeks. Matt's been in and out a few times, so we're gonna talk about what we've learned, and we also have a cool announcement for what's coming in the rest of 2018 from the show. So, come back and see us -- same time, same bat-channel next week. Hopefully, we will be back to Facebook next week depending on what's happening with Zuckerberg right now. Bye, guys.